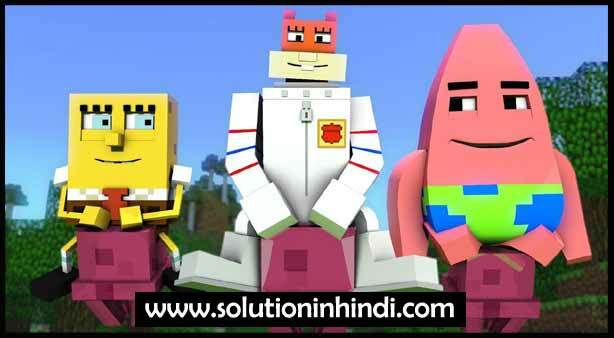 Google Play Store Par Kuch Ayse Apps Ke Pardaphas Hua Hai Jo Bhut Hi Aashleel Type Ke Hai, ‘Security Researchers at Check Point Software Technologies’ Ke Madad Se Google Ne Play Store Par Upload Kiye Gaye Kuch Ayse Applications Ko Find out Kiya, Jo Kafi Had Tak Sabhi Smartphone User Ke Liye Bhut Hi Harmful Tha, Agar Aap Sabhi Apps Ke Download Dekhenge to Hairan Rah Jayenge. Google Store Par Malicious Code Lagbhag 60 Apps Ko Researchers Uncovered Kya Hai. So Friends Aaj Me Apko 20 Ayse Apps Ke Bare Me Bataunga, Jisse Aap Galti Se Bhi Apke Mobile Me Install Na Kare. Khash Karke Children’s, Agar Aap Abhi School/College Me Ho Toh Aapke Liye Ye Article Bhut Hi Helpful Hai. Actually Kuch Applications Ke Advertisement Kuch Istarah Coding Kiya Jo ‘AdultSwine’ Hai, Aur User Ko Forcefully Pornographic or Inappropriate Type Ke Ads Dikhate Hai Aur Paise Kamata Hai, Google Play Store Ke Mutabik, Applications 3Millions-7Millions Download Bhi Kiye Gaye Hai, Jab Google Ko Iske Bare Me Pata Chala Tab Sabhi Application Ko Google Play Store Se Remove Kar Diye Hai, Application Company ne Kaha Install Karne Wale Sabhi User Ko Ham Strong Warning Show Karenge. 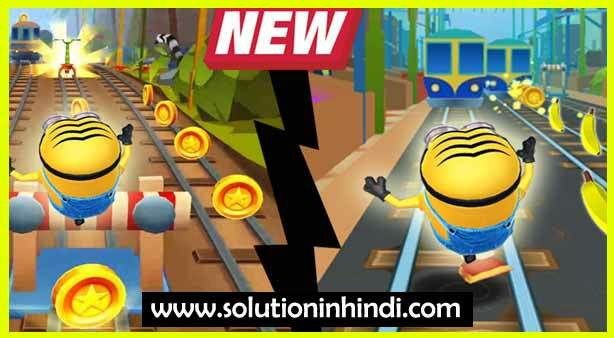 Ye Game ‘Subway Surfers’ Se Inspire Hoke Banaye Giya Hai, Subway Surfers Game Aap Kabhi Toh Khele Hi Honge, Lekin ‘Subway Banana Run Surf‘ Bhi Kafi Popular Game Hai, Childers Ke Liye. 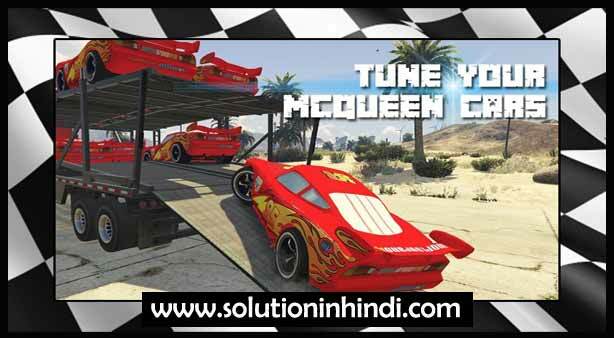 Mcqueen Popular Car Racing Game Me Se Ek Hai, Aur Iss Game Ka Downloads Millions Me Kiye Gaye Hai. 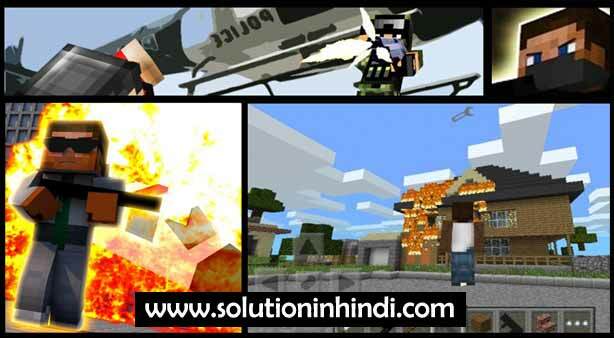 20 Dangerous List Me Se Sabse Jiyada Popular Nights Survival Craft Game Hai, Kyu Ki 20 List Me Se Is Game Ka Download Time Sabse Jiyada Hai, Actually Ye Game Baccho Ke Liye Kafi Interesting Game Hai, Aur Iska Minimum Downloads Millions Me Hai, Aap Soch Hi Sakte Hai Kitna Popular Game Hai. 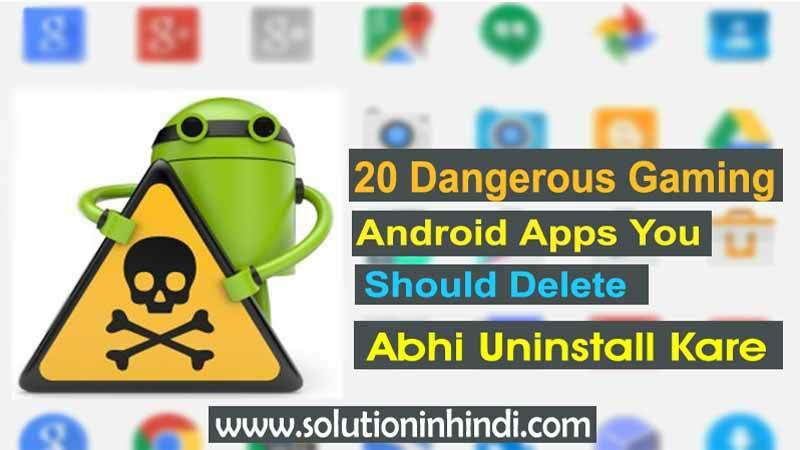 I Hope ‘20 Dangerous Android Apps‘ Galti Se Bhi Apke Mobile Me ‘Bad Apps List‘ Me Se Kisi Bhi Apps Ko Install Nahi Karenge, Yedi Apke Mobile Me Install Hai Toh Harmful Apps Ko Avoid Jarur Kare.